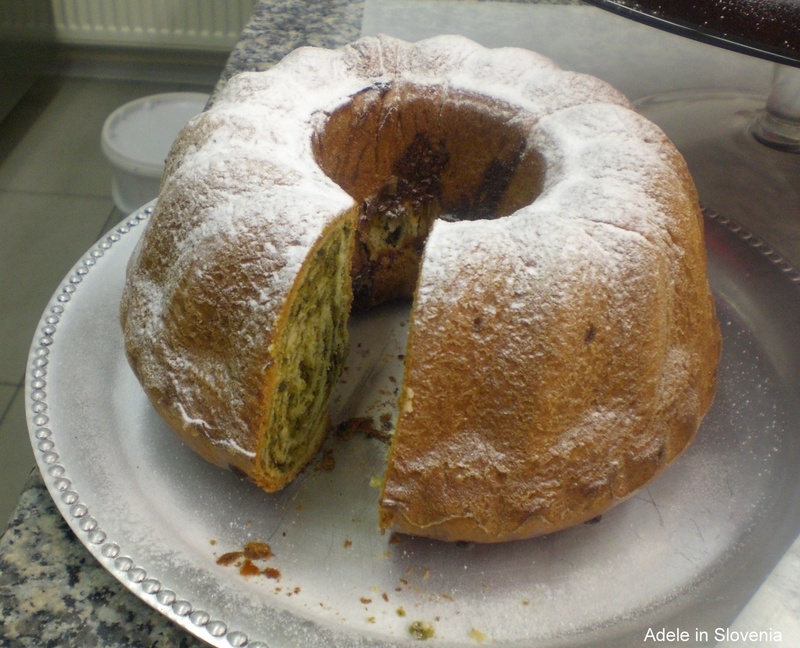 Easter in Slovenia – My Potica Journey! 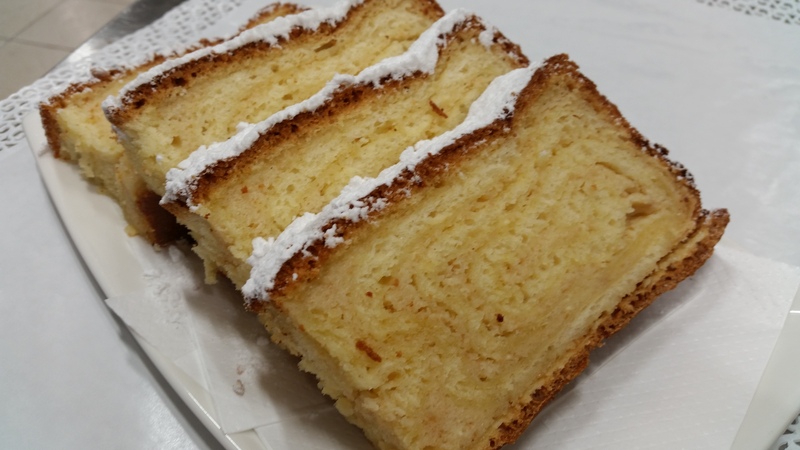 It’s not even Easter yet and I’ve already eaten half my body weight in potica – all in the name of research for this blog! 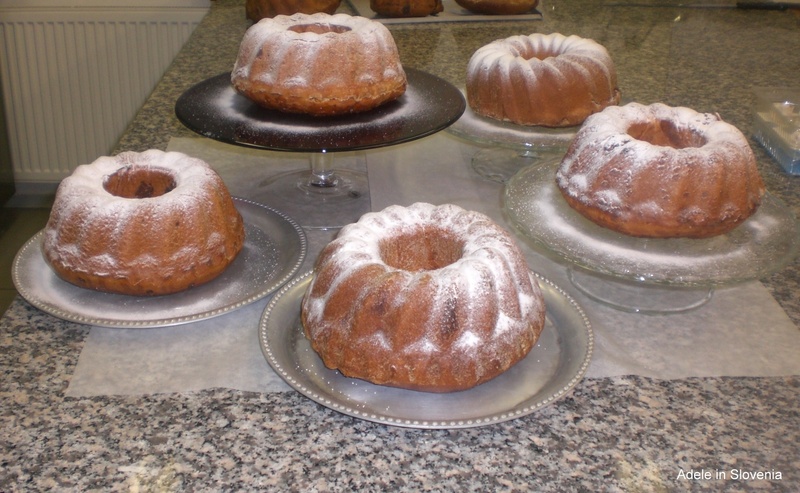 It’s not hard to find potica in Slovenia, far from it, it’s abundantly available, particularly during Easter, Christmas and New Year holidays. 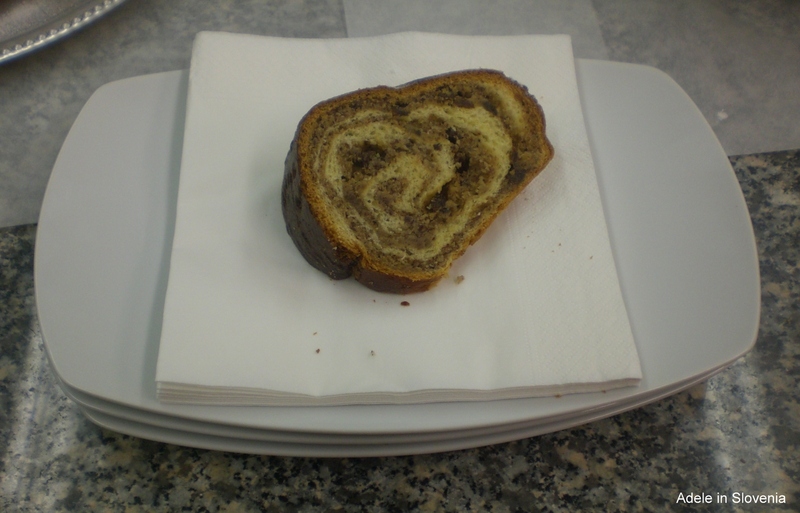 I have often read that there are over 80 different types of potica in Slovenia, yet in most shops and bakeries there are only the usual staple varieties, such as; walnut – by far the most commonly found; poppy seed; tarragon; pork crackling; dried fruit; potratna – as seen below – a layered ‘luxury’ potica, made with curd cheese, walnuts and layers of light and dark sponge. So, where then are the other 70+ varieties I asked myself? Therefore, for this blog I set myself the challenge of seeking out some of the other, more unusual types of potica. 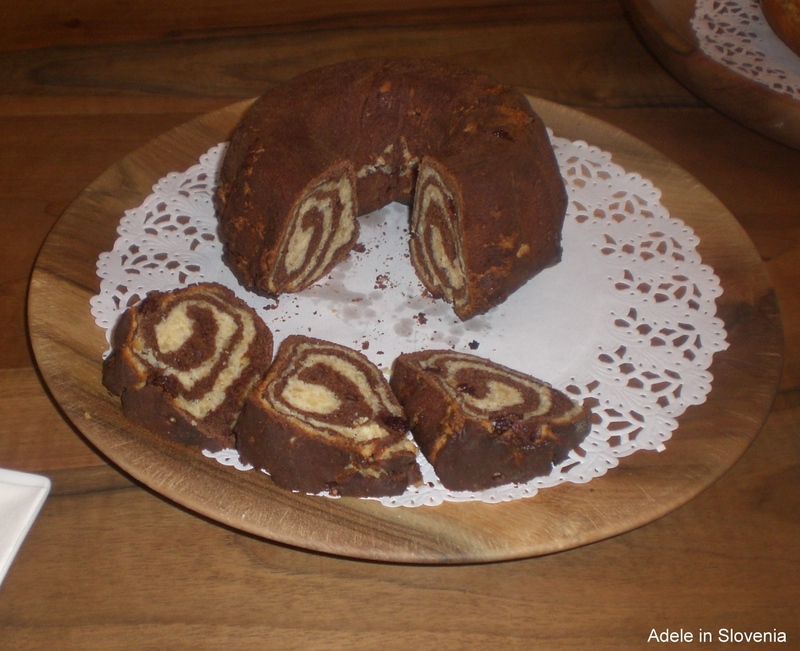 In the process I have crossed waters and worked my way through an awful lot of potica, so, I hope you enjoy reading about potica in Slovenia as much as I have enjoyed eating it! I must confess that sometimes I find potica can be rather uninspiring, dry, and, well, a bit underwhelming. For me the ratio of dough to filling is the key factor. 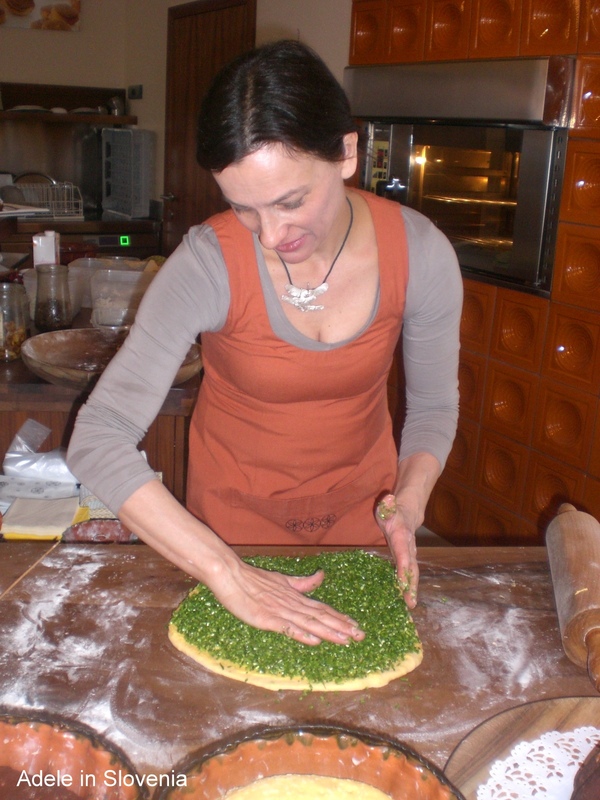 According to potica experts, the ideal ratio is 1:1 – for example, if the dough is 1cm thick, then the filling should also be 1cm. In reality, especially when it comes to mass produced potica, this seems to be far from the case, hence it definitely pays to seek out handmade potica, and it also pays to pay! 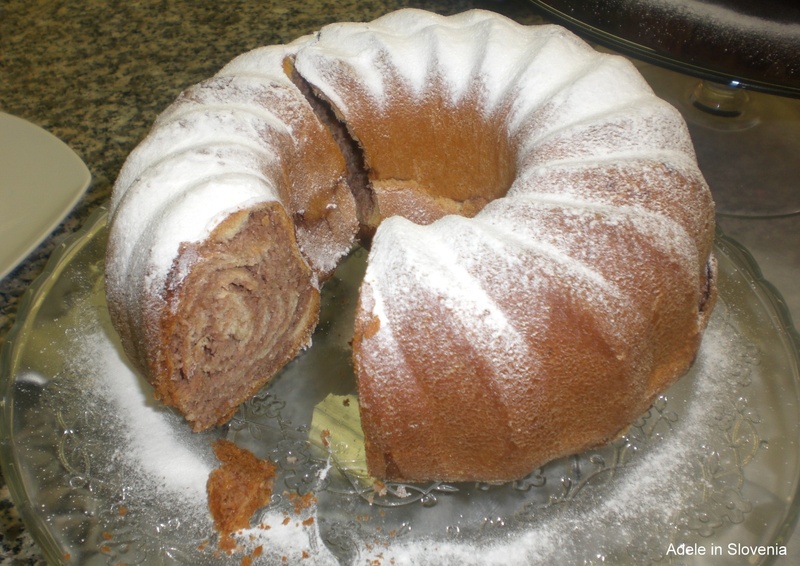 Though these days you can find potica in pretty much every supermarket throughout the land, and it can often be found on special offer, these shop-bought varieties, though cheap, are often disappointing. 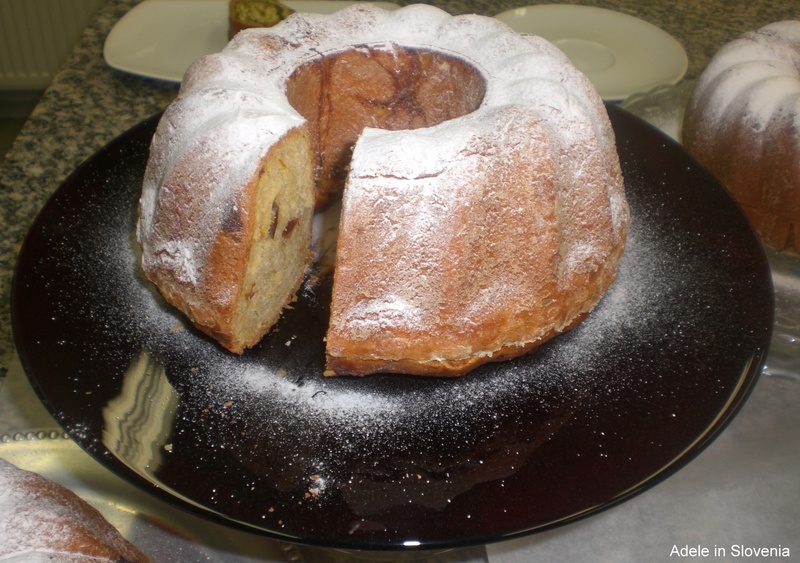 Homemade versions are almost always the best – almost everyone in Slovenia seems to have a grandmother who makes ‘the best’ potica, or I recommend also trying some of the ones below! 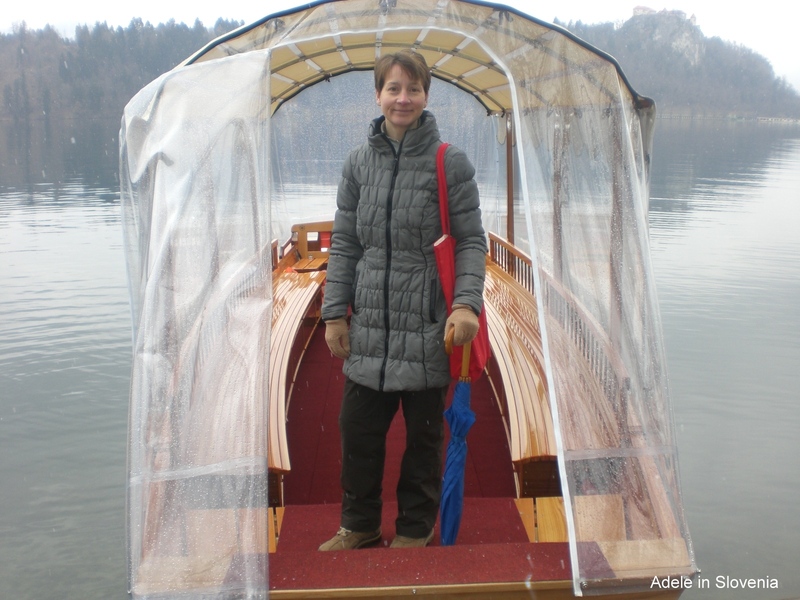 First I contacted Iva Gruden from Ljubljananjam – http://www.ljubljananjam.si/ who knows pretty much everything there is to know about the food scene in Ljubljana. She suggested I try the coffee shop and patisserie Čopomana in Ljubljana. Čopomana has many flavours of potica including several that I have never seen, let alone tried. 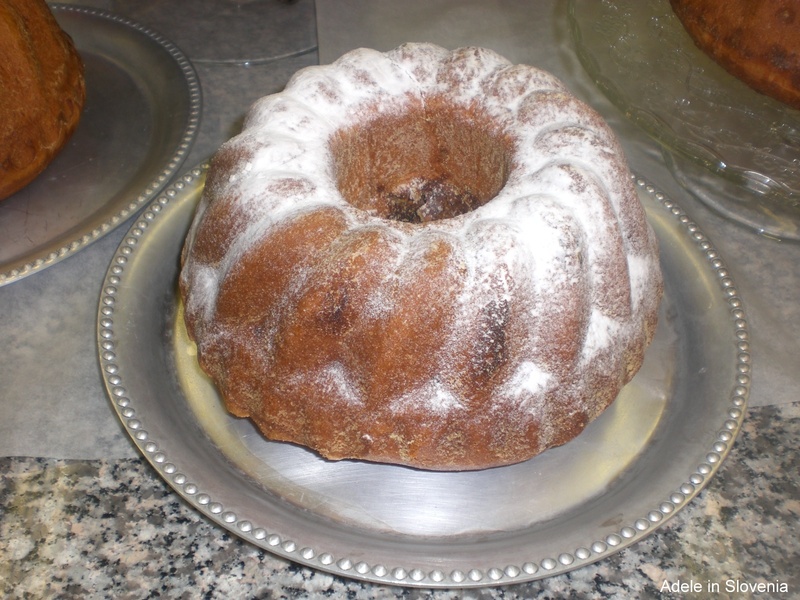 Čopomana bakes the usual favourite flavours and also an array of different and imaginative flavours. 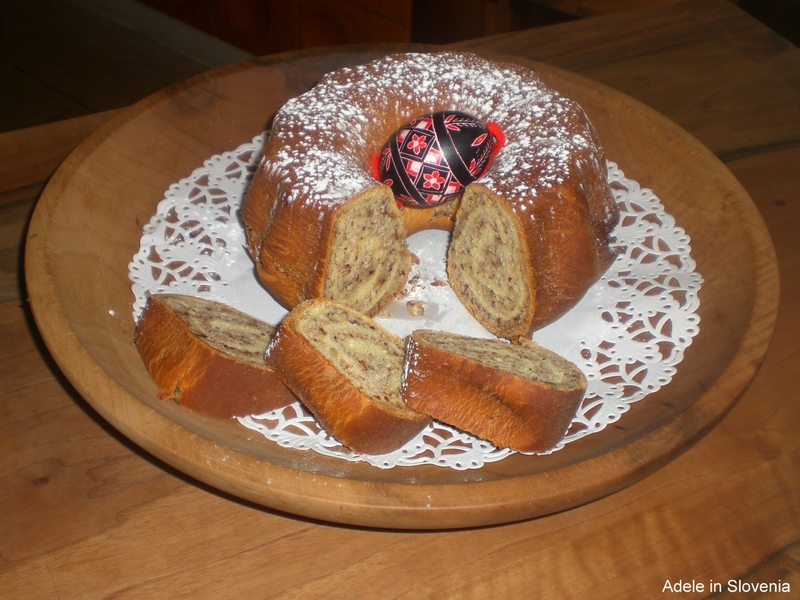 During Easter week they are readily available, whilst at other times throughout the year they are baked to order. Chestnut, fig and Tonka bean – unfortunately I failed to get a good snap of this one for some reason, though it was actually my favourite of the lot – too busy eating, perhaps! 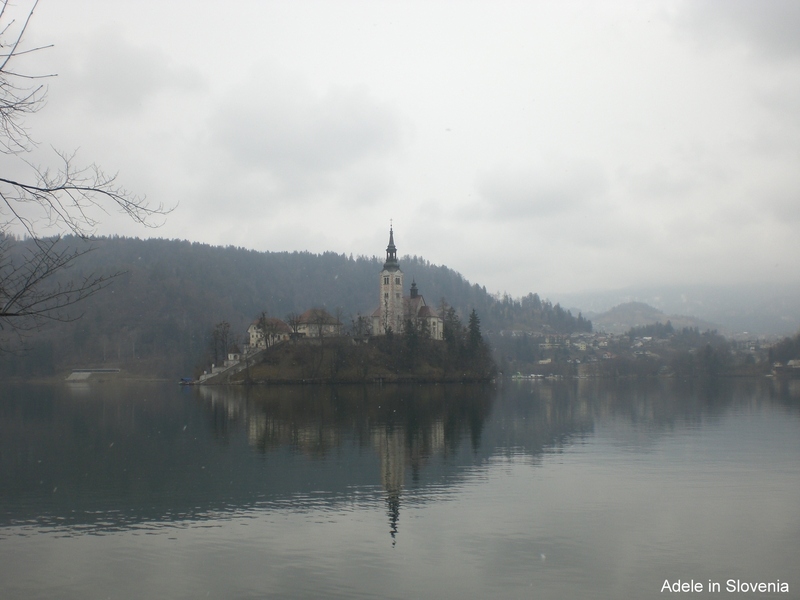 My search also led me to Bled island. As well as being home to the Church of the Mother of God, and a gallery, the island also has its own ‘potičnica‘. I’m going to let the photos tell the story, as there is SO much to tell! I journeyed to the island by private boat. 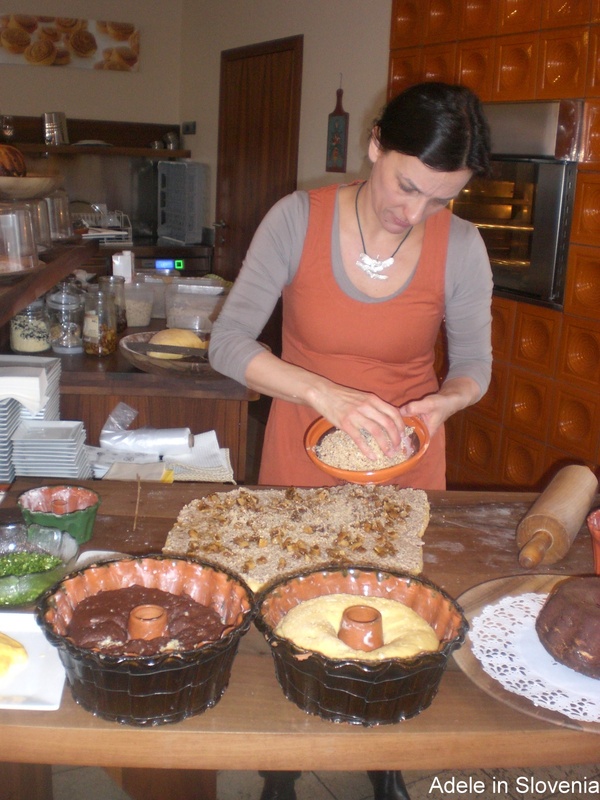 I was warmly greeted by Romana Bohinc, who then proceeded, at lightning speed, to skilfully make and bake five different kinds of potica. 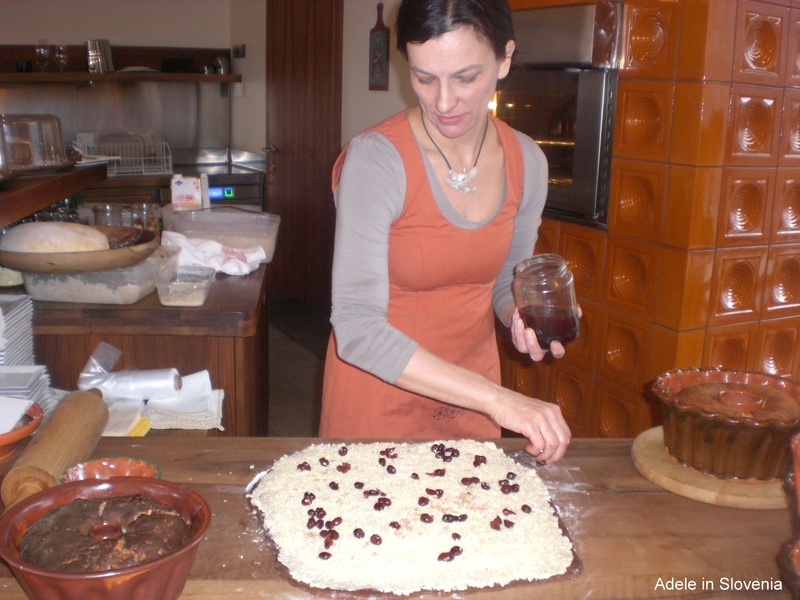 Toasted hazelnut, honey and dried fig – Romana told me about the island’s fig tree. The alpine climate in Gorenjska isn’t exactly conducive to growing figs, however, she explained to me that the island has its own kind of microclimate, which results in a healthy annual fig crop. Chive, rum-soaked raisins and cranberry – with a base layer of egg yolks, butter and sugar. I couldn’t quite get my head round chives being used in a sweet bake, as they have a very pungent flavour, but this one actually turned out to be my favourite of the lot. Do try it! I was also impressed by the ‘no waste’ policy, whereby the ends of the dough that are cut off before the potica goes into a mould, are baked into biscuits. 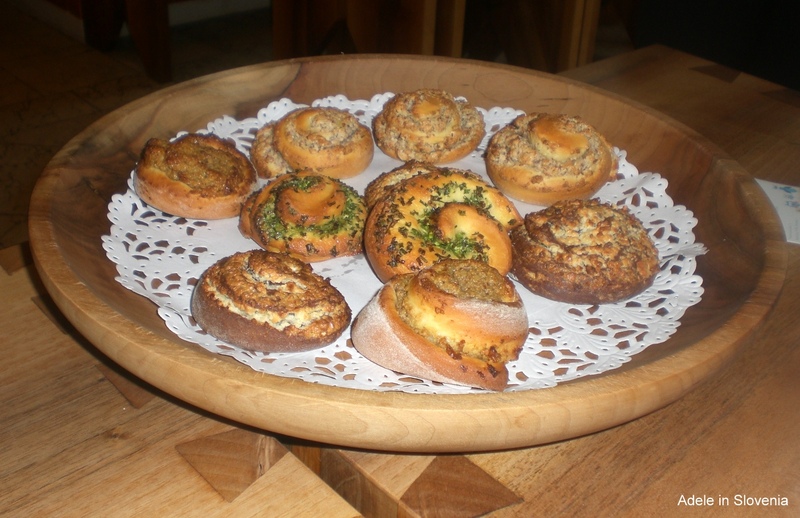 I also happened upon one more variety of potica, cream potica, made at Trojane – home of the original Trojane doughnut! 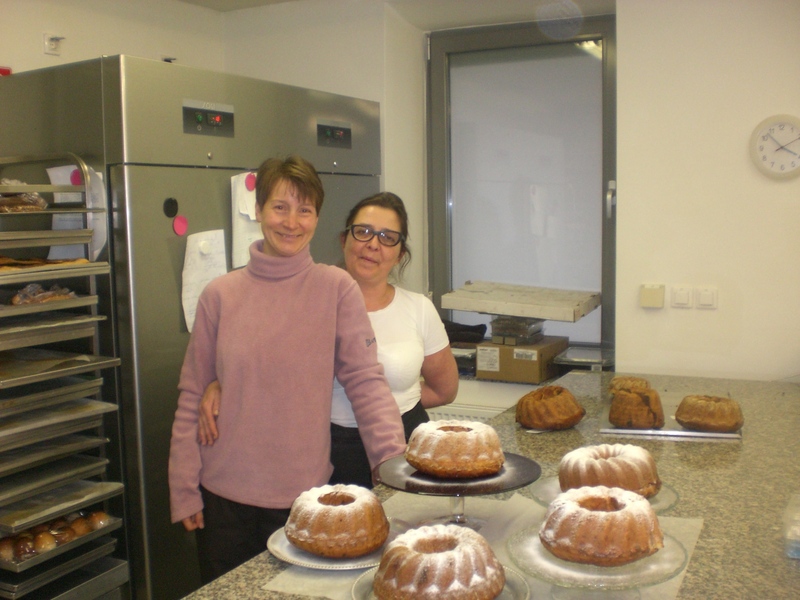 One perhaps wouldn’t associate Trojane with potica, but they have their own in-house bakery and patisserie and also pride themselves on their homemade local food. 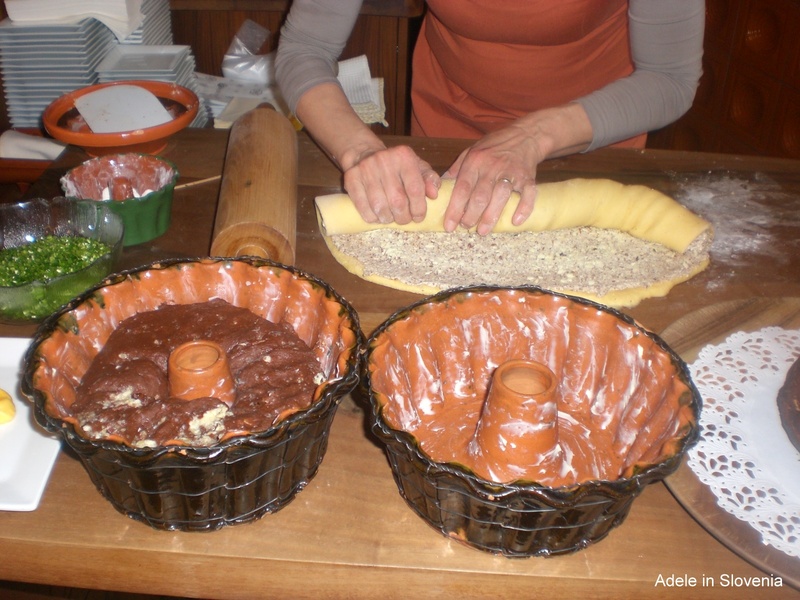 Whilst traditional walnut potica is available all year-round at Trojane, cream potica is only available at Easter and Christmas. The filling comprises a mixture including breadcrumbs, curd cheese and cream. Perhaps potica purists will baulk at some of the flavours shown above, preaching that they don’t consistute ‘real’ potica, but, as I see it, as long as the original shape and methods are retained, then there are no limits to the possibilities – all it takes is a little imagination, as I discovered on my potica journey. 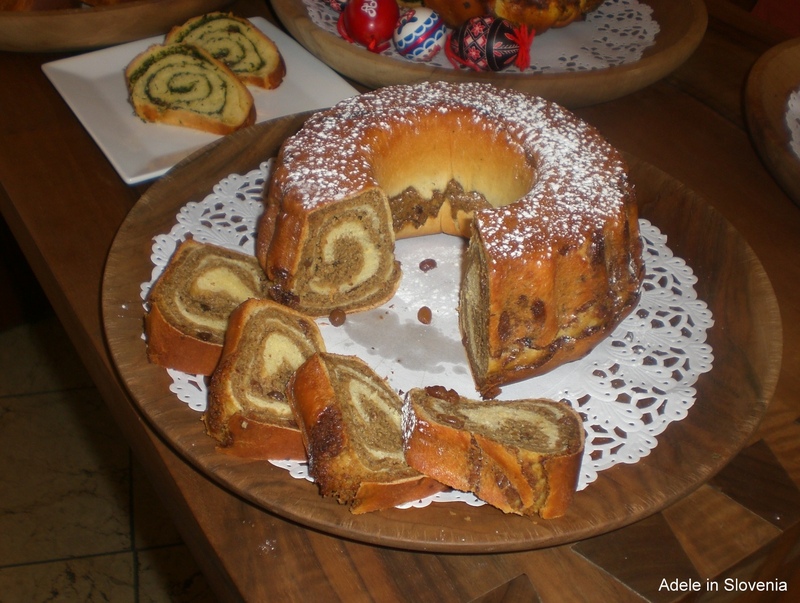 Easter in Slovenia is celebrated in a number of ways. 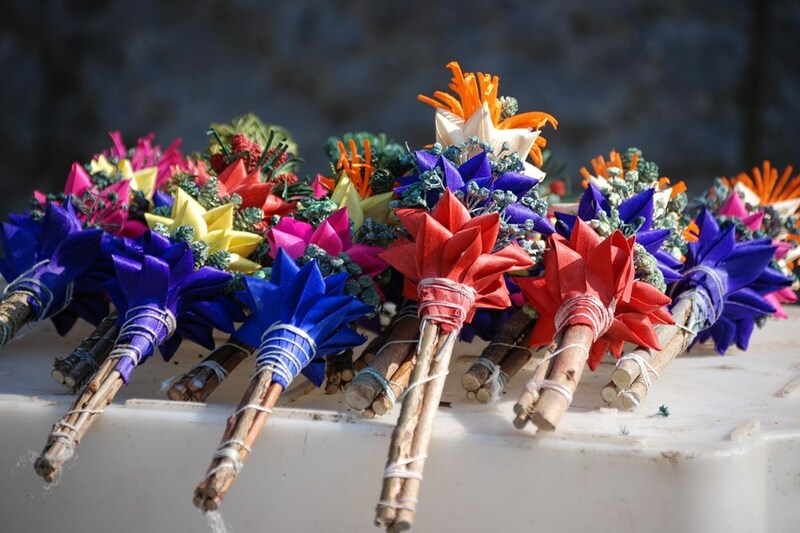 It begins on Palm Sunday when people can be seen flocking to churches around the country carrying bundles of branches and leaves, called ‘butare‘ which are then blessed as part of a custom thought to date back as far as the 9th century. On Easter Saturday people take baskets of food, covered with embroidered cloths, to church to be blessed. However, this food cannot be eaten until Easter Sunday. Then, after a period of abstinence (by some), with a fast beginning on Ash Wednesday, food becomes a big deal as tables in homes around the country can be found bursting under the weight of, of course, potica, as well as baked ham, horseradish, eggs and other delicacies! 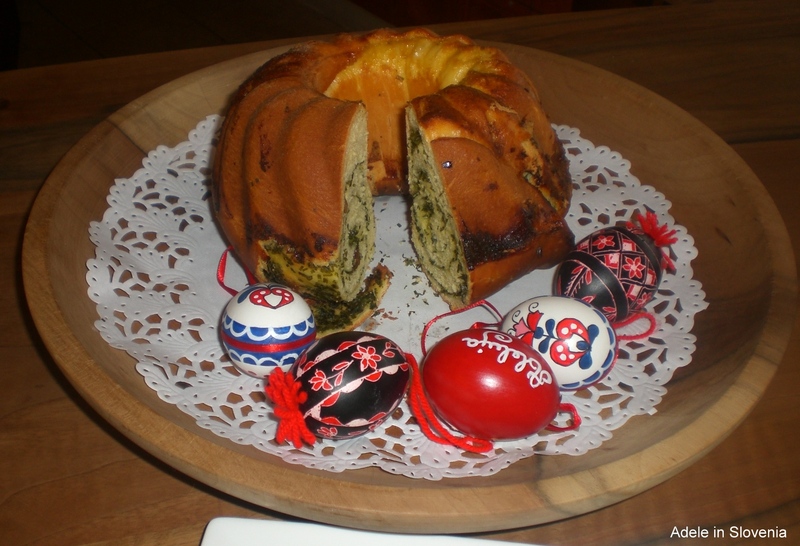 However and wherever you choose to celebrate Easter, may it be filled with colour, joy, and, of course, potica! 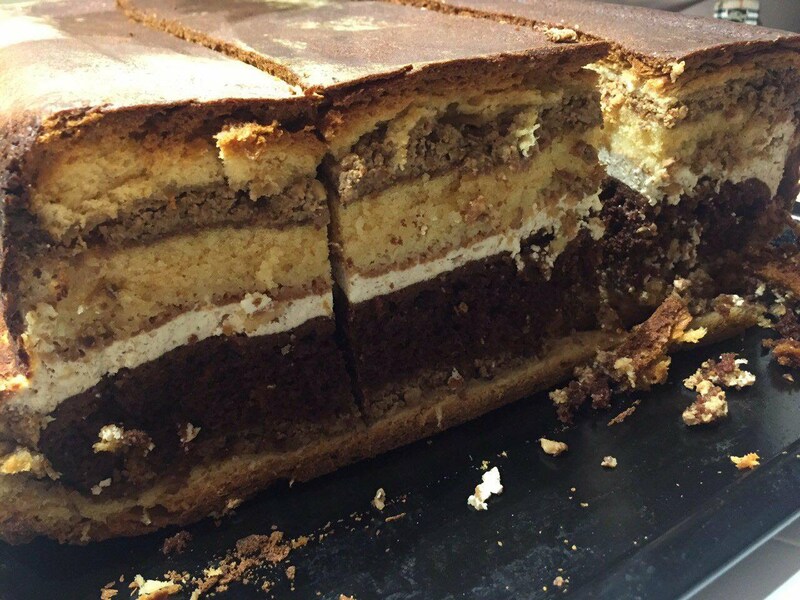 I reckon I might manage another slice, or two!